THE FACTS – On Saturday, February 16th, during the mobilization dubbed “Artists in Action against Corruption and Impunity,” women defenders Andrea and Lucía Ixchiu, along with Citizens’ Assembly member José Hernández, were insulted and physically attacked by an individual later identified as Leonel Quiñonez, an assimilated military agent. 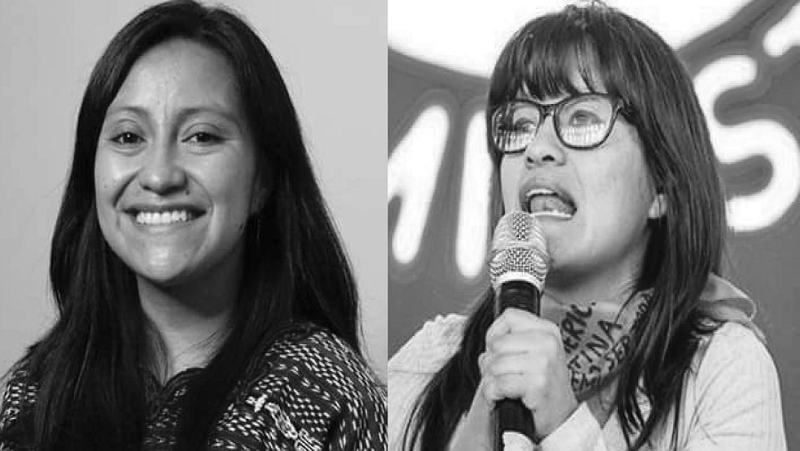 Andrea and Lucía were working with the coordinating group of the mobilization that used artístic and cultural expression to denounce the prevailing corruption and impunity in the country. 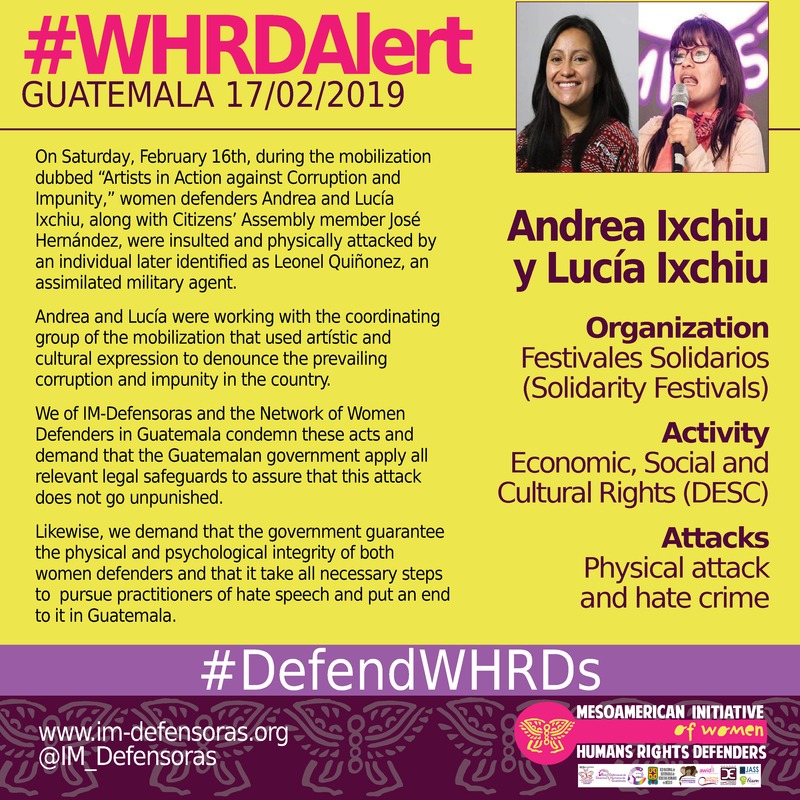 We of IM-Defensoras and the Network of Women Defenders in Guatemala condemn these acts and demand that the Guatemalan government apply all relevant legal safeguards to assure that this attack does not go unpunished. Likewise, we demand that the government guarantee the physical and psychological integrity of both women defenders and that it take all necessary steps to pursue practitioners of hate speech and put an end to it in Guatemala.